Every Magic Day: What's better than Comedy Magic? Comedy Cooking Magic! What's better than Comedy Magic? Comedy Cooking Magic! 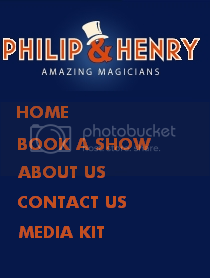 Phil Robinson the "Cooking French Magician" will be appearing on Britain's Got Talent, and showing off his skills for the judges, including the famous Simon Cowell. I'm trying to picture what exactly it is that he does, and I'm having trouble. But apparently it involves making wine bottles disappear.